Solta is definitely one of the lesser-known Croatian islands despite being located in Dalmatia, very close to Split. However, it’s a great, quiet, ‘off-the-beaten-track’ option that’s very easy to reach from the mainland – whether you’re interested in visiting on a day trip, or fancy a longer stay! The main locations on Solta are Rogac (where the ferries come in to), Necujam, Stomorska and Maslinica, home to a luxurious five-star resort. 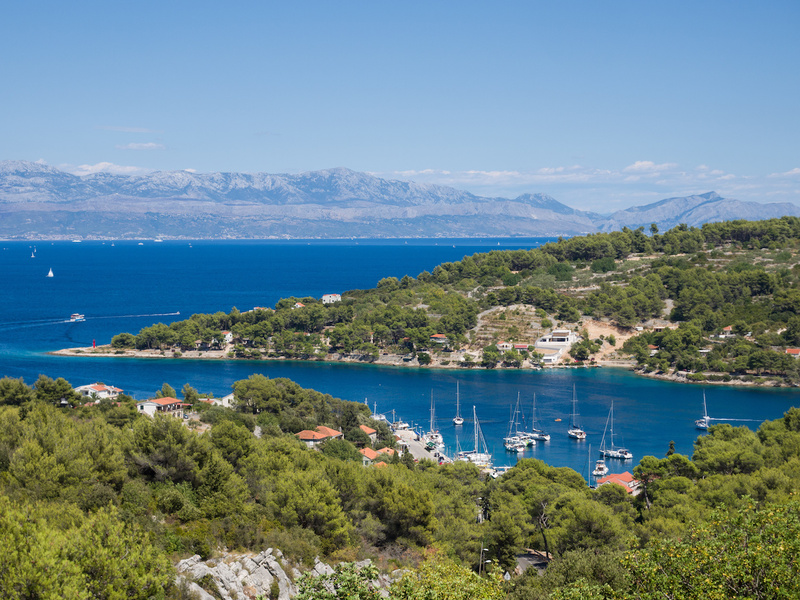 There are only routes from Split and the island of Brac to Solta – no sailing routes exist from anywhere else. There is a daily, year-round catamaran service from Split to Rogac, run by Jadrolinija. Journey time is 30 minutes. There is a car ferry that runs several times a day, year-round, from Split to Rogac. Journey time is one hour, and it is run by Jadrolinija. The same catamaran mentioned above (from Split) can also be used to travel from Milna on the island of Brac. (The full route is Split – Rogac – Milna or vice versa). Run by Jadrolinija, journey time from Milna to Rogac is 25 minutes. It’s not for nothing that the island is considered a suburb of Split…the city’s Promet Split bus transport network actually runs two bus routes! The first connects Rogac with Stomorska (via Grohote, Necujam and Gornje Selo) whilst the second runs between Rogac and Maslinica (via Grohote, Srednje Selo and Donje Selo). Timetables can be found here. As we’ve mentioned, the island is more than suitable as a day trip from Split. Arrive in Rogac, take a look around, and then jump on one of the buses to explore the other little towns on the island. For those looking for picturesque little harbour towns, Maslinica and Stomorska are the best options. 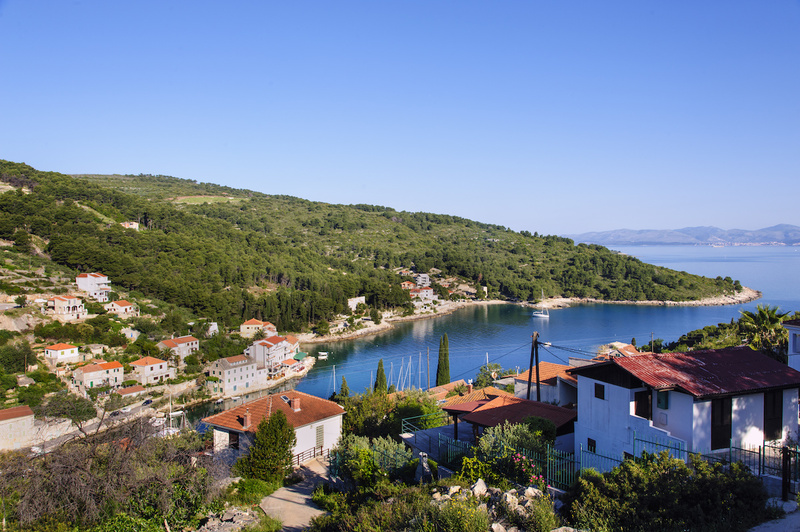 Alternatively, head to one of the beaches or little coves for some rest and quiet away from bustling Split. A perfectly relaxing day out! One of the best bays is thought to be around the town of Necujam to the north of the island. The name literally means “I cannot hear”! The town was once home to a popular resort hotel back in the day (pre-war), and still retains a number of good tourist facilities. For the active amongst you, Solta is certainly very suitable as a biking destination. Bringing your own bike on the ferry is easy, but you can also rent bikes in Maslinica and Stomorska. There’s a good selection of accommodation on the island – mainly villas, private apartments and rooms – throughout all the little towns. If you’re after something luxury, look no further than the Heritage Hotel Martinis Marchi in Maslinica. Located in a 300-year old castle very close to the town harbour, each room has gorgeous views of the bay. That’s really the only hotel on the island, so you’d otherwise need to book yourself in to a (very wide range of) apartments and rooms. Check out more Accommodation on Solta for listings of all different types of accommodation.